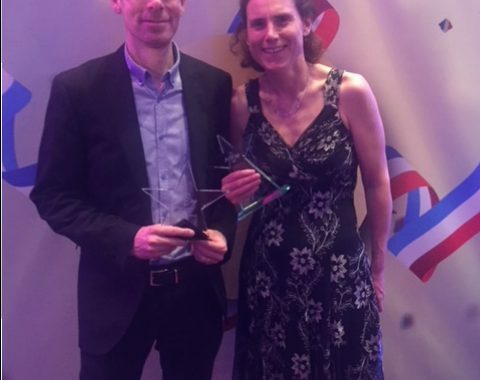 ROADRUNNERS Mark Worringham and Helen Pool both won trophies at the Reading Sports Personality of the Year awards. 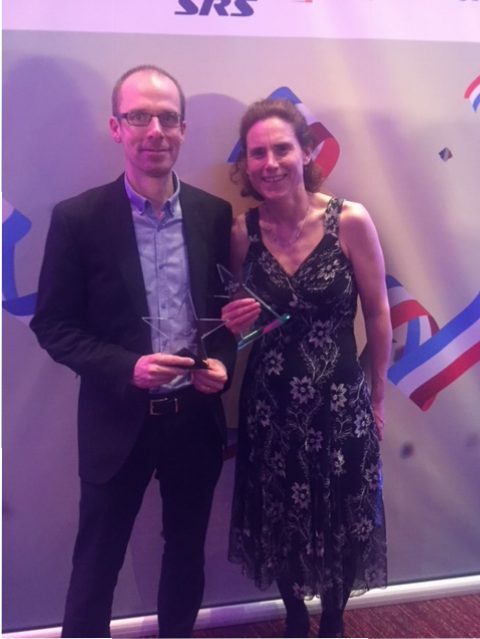 Former men’s captain Mark took the prize for the veteran achiever and Helen picked up the award for the best local improver during the year. For Mark it was a reward for his success during a year when he represented England at the Masters Cross-Country international in Ireland and led his Roadrunners squad to the veterans’ title in the Hampshire Cross Country League. And for Helen it marked a year in which she ran big personal bests at every distance on the way to clinching the club championship and culminated in being selected to represent Berkshire at the Inter-Counties Championship. Our heroes received their awards at a glittering ceremony at the Hilton Hotel in Reading. The main awards for the local sportsman and sportswoman of the year went to Jenine Hutchison (taekwondo) and Dan John (swimming). Posted in Dibben Report, Jan-March 18, Presentations-Articles, Race Reports, Roadrunners18.